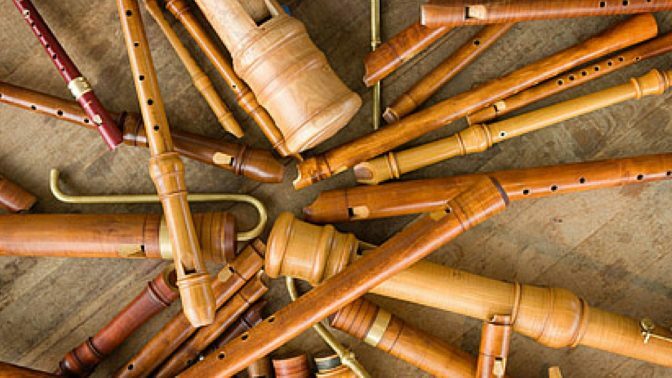 With a professional conductor and aimed at a more advanced level of playing, this course will focus on modern music written specifically for recorders, which is often challenging, particularly in terms of rhythm. Because of the challenging nature of the repertoire, all course participants should have a very good sense of rhythm and be experienced ensemble players. Ideally you should also play both F and C instruments, including tenor AND bass. This partnership event is organised by Recorders for All, an entirely voluntary, not-for-profit organisation with Pam Smith as musical director and Jan Epps as secretary and administrator. For more information go to the Recorders for All website.